It is intriguing to note that the legacies of some musicians tend to fade over time, but not all of them are subjected to the same fate. Over the decades, we have witnessed the transformation of numerous musicians such as The Beatles, the Led Zeppelins and Jimi Hendrix, the icon, making them rock gods of mystical proportions. It was 44 years ago that Jimi Hendrix passed away and Sony/Legacy decided to commemorate his passing by re-issuing the two official and consecutive releases that had first become available when he had died. The year 1971 marked the debut of perhaps the best posthumous album of all time called Cry of Love. Only half of the songs were finished during the lifetime of Hendrix, but the remaining cuts were finalized by Eddie Kramer, the engineering extraordinaire and Mitch Mitchell, the Jimi Hendrix Experience drummer. The results were nothing short of astounding. While Freedom and Ezy Rider are regarded as staples of classic rock, there is a softer side seen in Angel (Softer, but not completely soft). A more eclectic Jimi Hendrix is profiled in the song Night Bird Flying. Cry of Love has been out of print for years, but the newly re-mastered album can now be found on digital download, CD and on a splendid vinyl reissue, which is the exact copy of the original design. However, it wasn’t just the Cry of Love that was re-released. The same honor was granted to Rainbow Bridge. Although it is mentioned as the ‘Original Motion Picture Soundtrack’, the album doesn’t contain any songs that were performed in the film titled Rainbow Bridge. 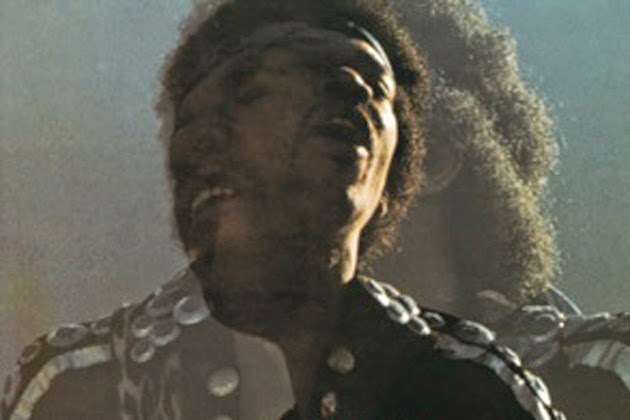 In fact, the album comprises of material that was culled during the last few years of Jimi Hendrix’s life. The album opens with Dolly Dagger, filled with poison-pen, which was said to be a subtle homage to Devon Wilson, the groupie/girlfriend of Hendrix. Earth Blues, laced with funk follows Dagger, which gives a big nod to Billy Cox, the bassist. The ethereal Room Full of Mirrors and the studio version of Star Spangled Banner, the iconic song, are part of the celestial moments of this particular album. It is the first time that this album has been issued on CD and a vinyl version is also available, just like Cry of Love. Both releases are essential and phenomenal, leading to the unanswered question of what else Jimi Hendrix could have offered.